These Wire Baskets Have an Adjustable Base Shelf! 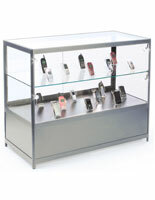 Choose from Four Different Bin Depths for Displays! 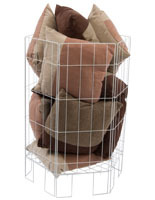 Wire Baskets Are Available In Many Different Configurations When You Shop Online! Bottom shelf adjusts for (3) different bin depths. Durable white wire construction offers full visiblity of contents. Rack assembles easily in 10 minutes or less without tools. 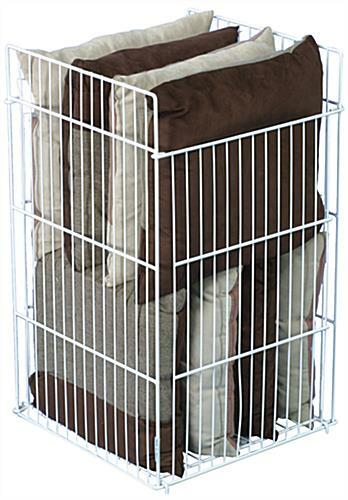 These wire baskets are adjustable-depth POP dump bins. Each of these store fixtures is made from durable welded wire with a neutral white finish that will complement any decor. 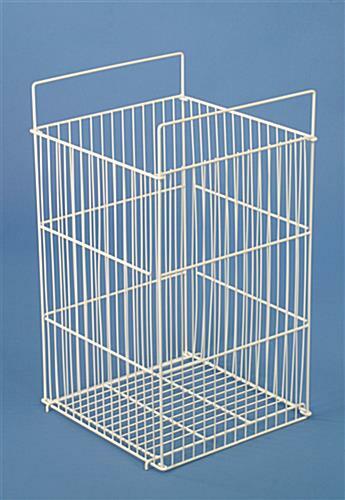 Sale items or impulse merchandise will stand out in these floor racks, open-grid wire baskets. 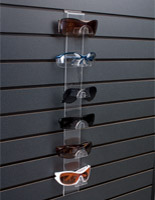 These stands are 30" tall, but feature an adjustable bottom shelf that can be set to any of three different heights. 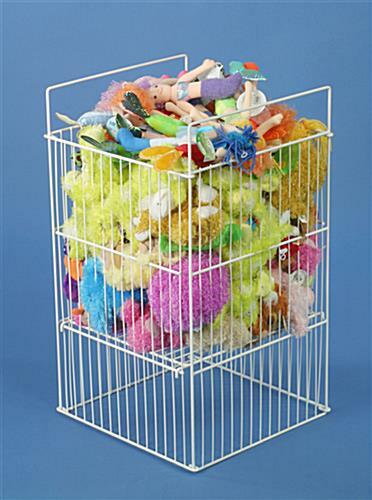 The lowest shelf setting creates large 18" x 18" wire baskets, also known as retail floor stands, that are 25" deep. Items such as toys, sporting goods, even CDs or DVDs will be very visible and enticing to customers when placed in these store fixtures. 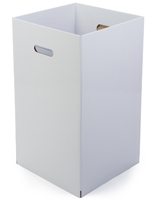 These sturdy and durable dump bins, white wire baskets are great for drawing customer attention in high traffic areas. Because of the open design, the contents of these dump bins are easily accessible. 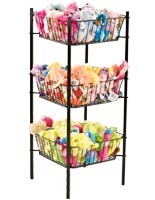 Smaller items or quantities can take advantage of the adjustable shelf of these affordable wire baskets. To create a more shallow display bin, simply move the bottom shelf up to the desired height. 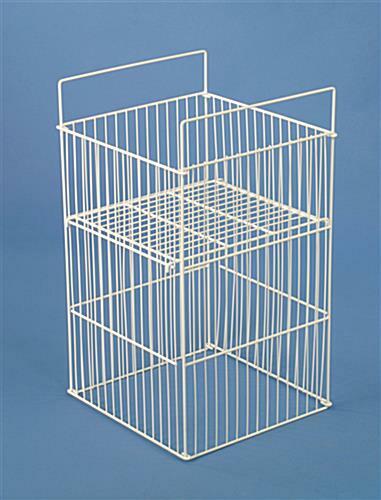 These adjustable height wire baskets, also known as retail floor stands, are a superior way for a retail establishment to advertise special sales or seasonal merchandise. These easy to assemble store fixtures can be put together without tools in less than 10 minutes. 18.0" x 48.5" x 17.5"
16.5" x 25.5" x 17.3"